9.5 Archives - VIRTUALIZATION IS LIFE! Late last week, on the same day as vCloud Director 9.7 was released to GA, an update was also released for vCloud Director 9.5.x which has been marked are critical. Specifically it relates to a vulnerability in previous vCloud Director 9.5.x with identifier CVE-2019-5523. Ironically this threat targets the new Tenant and Provider Portals. VMware vCloud Director for Service Providers update resolves a Remote Session Hijack vulnerability in the Tenant and Provider Portals. Successful exploitation of this issue may allow a malicious actor to access the Tenant or Provider Portals by impersonating a currently logged in session. Obviously given that vCloud Director 9.7 has just been release it’s unlikely that most Service Providers will upgrade right away, therefore the majority will be running vCloud Director 9.5.x for some time yet. vCloud Director 9.0.x and 9.1.x are not affected. Today Veeam made Generally Available Update 4 for Veeam Backup & Replication 9.5 (Build 9.5.4.2615) and with it comes a ton of very anticipated new features and enhancements. Don’t let the Update part fool you…this is a very significant release for us and is worthy of a full new version release. There is a huge focus on cloud and service providers in Update 4 and in my opinion this release contains some of the most innovative technology we have released in years. As mentioned Update 4 is a significant update and contains a number of enhancements and fixes with a lot of those enhancements aimed at improving the scalability of our flagship Backup & Replication platform. However it’s the new features of the platform that steal the show. Further to those headline features we have added offical support for vSphere 6.7 Update1 and vCloud Director 9.5 as well as Windows Server 2019. Below are the other major features and enhancements included in Update 4. When is comes to the agents you can now do backup mapping for seeding and restore from backup copies. For VMware there is a significant fix for a condition which reset CBT data for all disks belonging to a VM rather than just the resized disk and there is support again for non encrypted NDB transport. 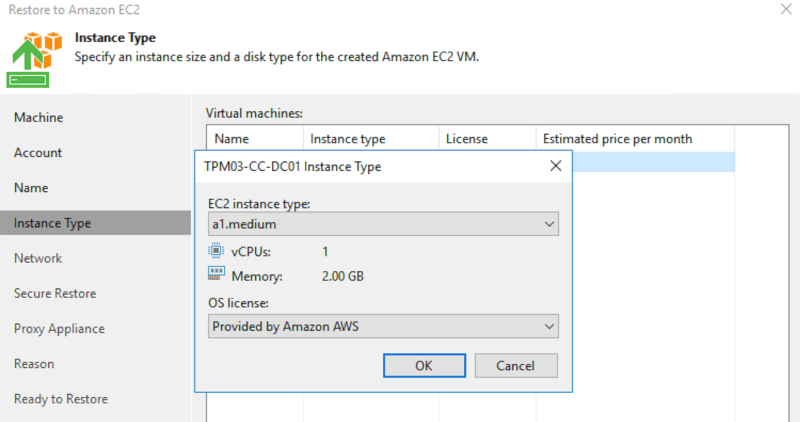 With regards to the new features and enhancements for VCSPs…as listed above, there are some huge additions in Update 4 which is worthy of a What’s In it For Service Provider Post. i’ll put that together over the next few days and I will be deep diving into a number of features over the upcoming weeks. I did touch on a few of them in the Update 4 RTM post here.